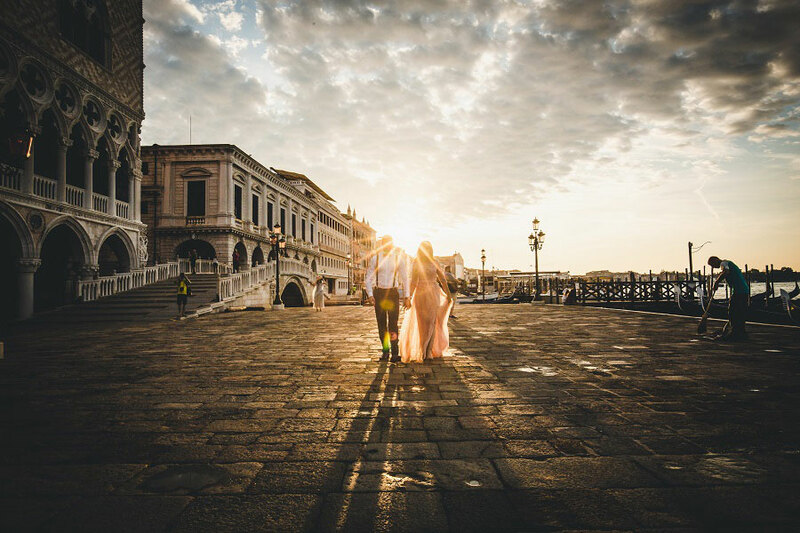 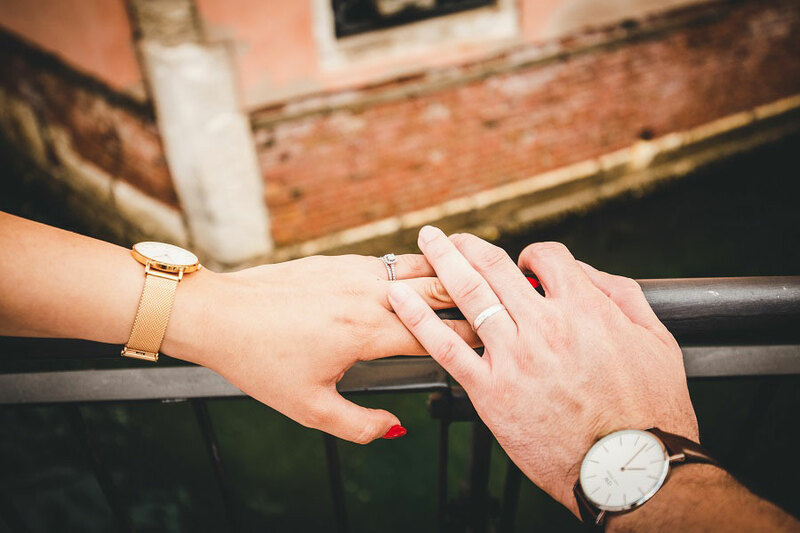 This wedding photo session was made at sunset and because of the crowd around Venice we chose an area which is not known by tourists, but raised and born in Venice I know any single spot of this amazing city. 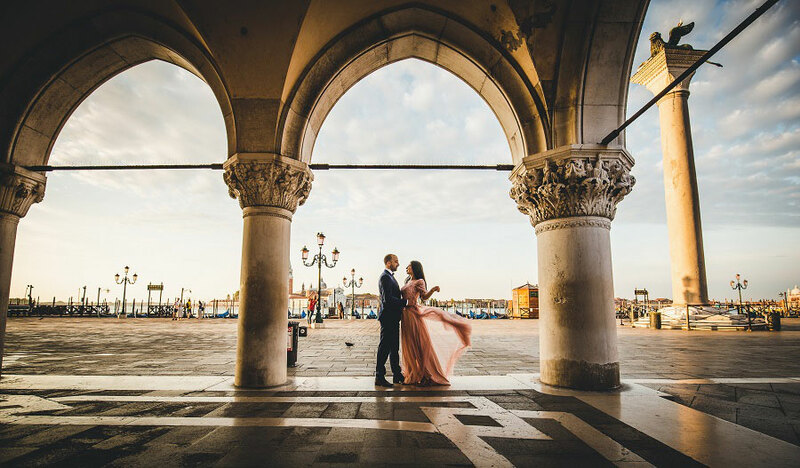 Diana and Barah came from Dubai for their honeymoon and they wanted a wedding photoshoot made by a professional photographer in Venice. 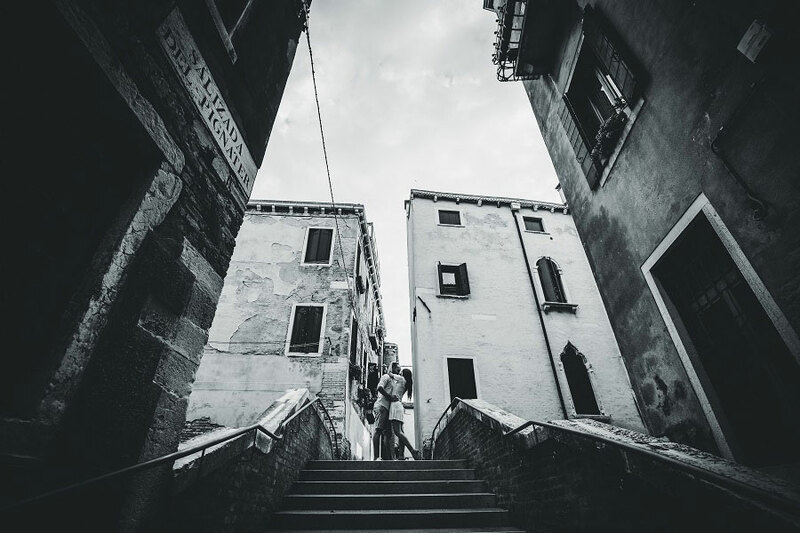 They enjoy a lot to see a different Venice with quiet streets and no tourists around us.! 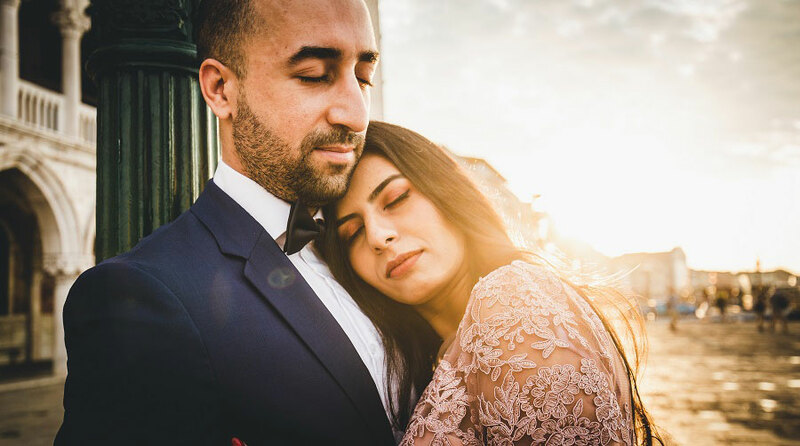 I wish all the best and love for this lovely couple!